Kemang simply never fails to surprise me. This time round, I found a rather new Italian Restaurant inside a house, which could easily pass as an art gallery. 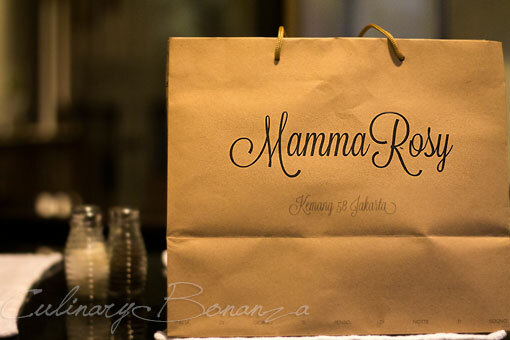 "Mamma Rosy Gastronomia, Terrace Bar and Concept Store", says the signboard outside. I met Signor Daniel Vigone, the owner of Mamma Rosy, a place which came about from a son's love for his Mum, Mamma Rosy. 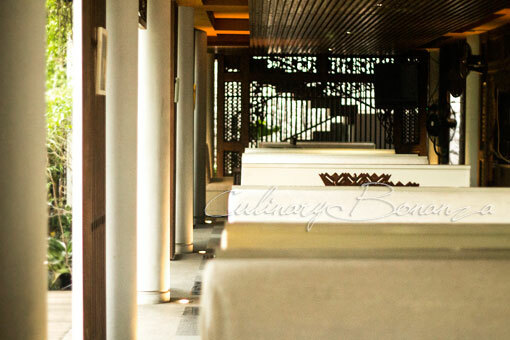 The entire family has always loved Asia and when Mamma Rosy asked Daniel to find a place to run a business in Jakarta, he took that request seriously. He came up with the entire concept, from the location, decor, menu, and even handled the execution. 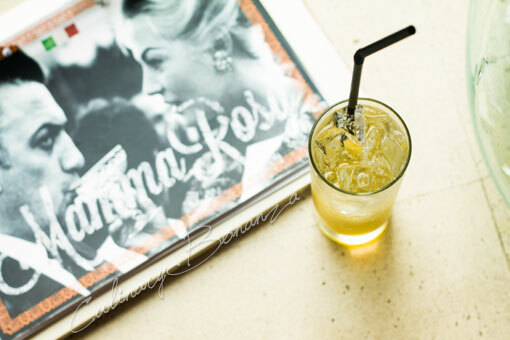 At last, after 9 months preparation, Mamma Rosy left her hometown in Ligure, Italy and now Mamma Rosy Gastronomia, Terrace Bar and Concept Store is finally open in Jakarta. 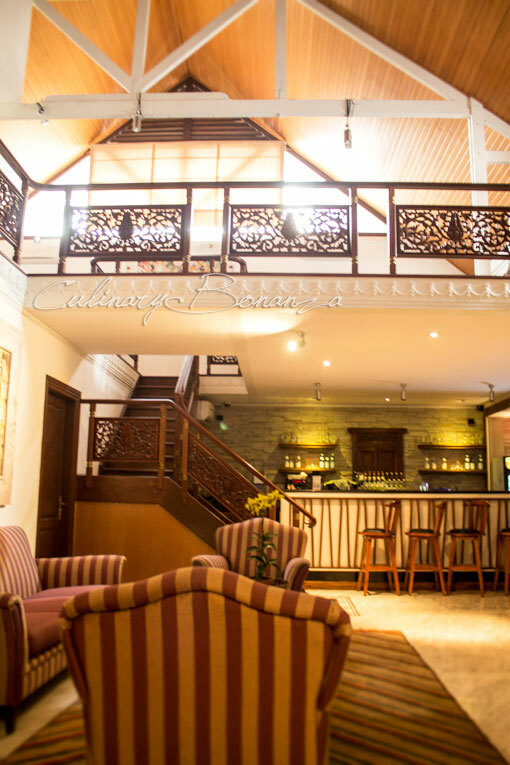 The restaurant is located in a big house, so guests are at their liberty to choose where to sit at. 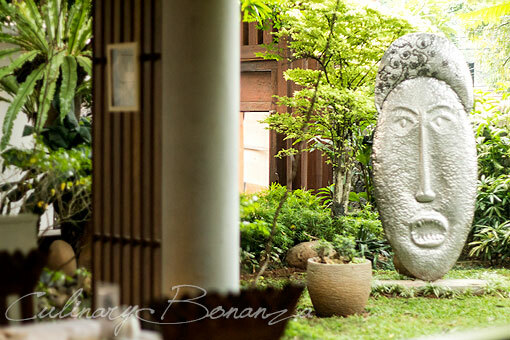 The front part of the house is a modern portico with ponds and lush small garden, which is reserved for smoking tables. The inside is divided into two wings. One side, which is still part of the house, is replete with living rooms and bedrooms which have been converted to private dining rooms. 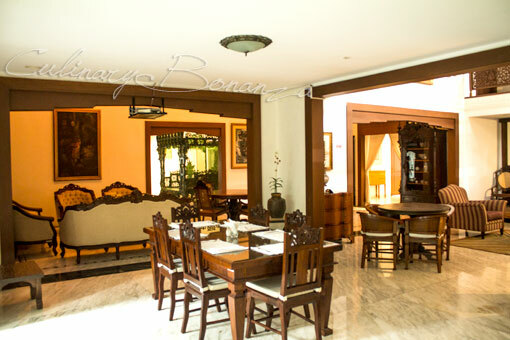 The interior is mainly decorated with wooden articles, a typical 'rich family' house, but with antiques scattered around, such as the elaborately carved Chinese chair at the entrance. The other wing has a more modern and 'restaurant' feel to it. 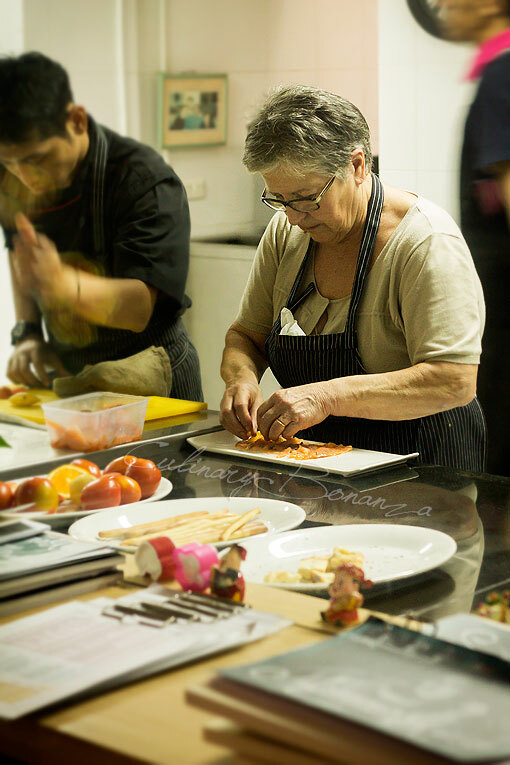 Daniel envisions Mamma Rosy as a place that people want to keep coming back to, like a home. And he does this by hanging vintage photographs of la famiglia Vigone, which dated back since the time of Daniel's grandparents. If your eyes are keen, you will spot one portrait of Mamma Rosy, when she was still a toddler. So far I've only seen the restaurant, but Mamma Rosy claims to be more than that. Daniel explained that the second floor terrace is actually in the process of being converted into Terrace Bar. The concept store is also under construction at the time of my visit. The store will carry Vigone's line of household accessories, such as the cotton table mat that the restaurant is currently using. Apparently it is quite popular and several guests had asked to purchase them. Daniel estimated the projects to be complete in September 2013. Entering the dining area adjacent to the kitchen, I saw the star of this entire story, Mamma Rosy. I was caught in an uncomfortable situation when Daniel introduced me to his mother, which roughly went like this (he spoke in Italian, of course) "Hi Mum, let me introduce you to Eliza (Daniel said my name becomes Eliza in Italian). Can you please prepare this, this, this and this for her? "...I don't think I'll stand a chance of becoming Mamma Rosy's daughter-in-law after that. (Yeah, I wish!). Mamma Rosy is no Executive Chef, nor is she a Michelin Star Chef. In all of her simplicity and decades of experience, Mamma Rosy creates hearty Italian home-cooking, which I tried and become fond of. 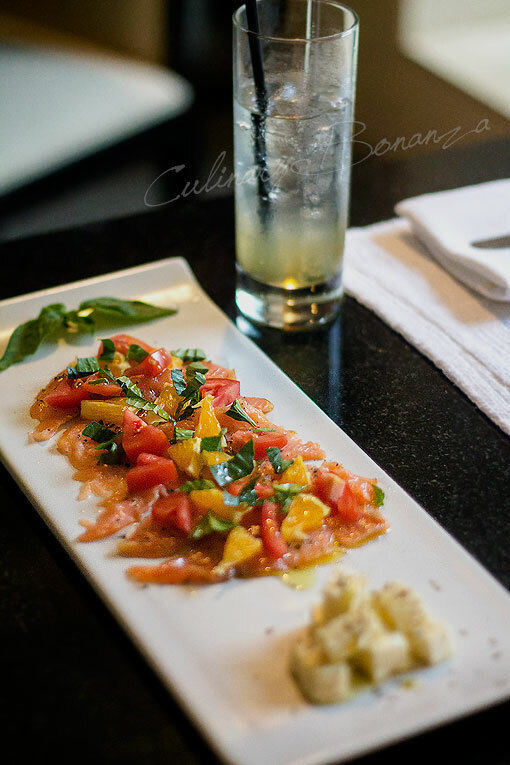 Carpaccio Salmone - thin slices of aromatic lime wood smoked salmon marinated with lemon, black pepper, marjoram, fresh tomato chunks and feta cheese dice. - Pasta: Mamma Rosy's home-made Ravioli with minced beef and spinach filling. 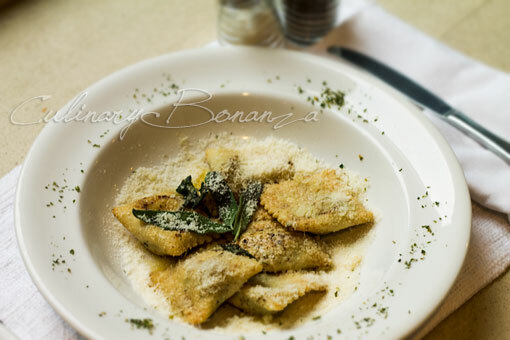 - Sauce: Burro & Salvia (butter, sage & grated parmesan). Daniel told me that the Burro e Salvia sauce was the perfect pair to go with the Ravioli. Can you see how generous they are with the parmesan? 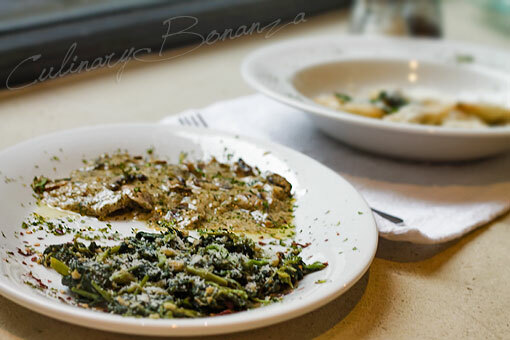 Scaloppine Al Funghi - thin slices of prime veal escalopes topped with creamy and rich mushroom sauce and served with butter-garlic-sautéed spinach. Meat, mushroom, spinach and butter, I was happy as a clam. 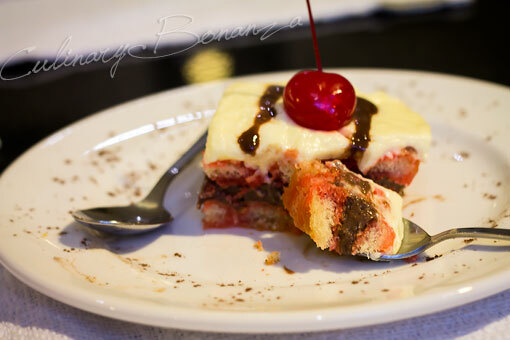 Zuppa Inglese - Savoiardi biscuits soaked in red Alkermes Liqueur with fresh chocolate and egg custard. A cup of cappuccino made with Caffè Vergnano 1882 (IDR 29,000). 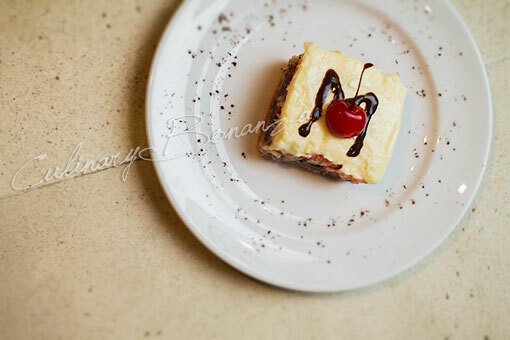 I just want to share with you: Mamma Rosy's Tiramisu is the best version I can find in Jakarta, so far. *)Prices are subject to Tax and Service Charges. everything looks soooo deliciouss, el! Hi Eliza! Welcome to the foodie blogosphere :) Link already shown on my sidebar, check it out :) Thanks for visiting my blog! It's Spring, It Must be White Asparagus!